It’s the state meet. All of your hard work and dedication all come to fruition at this moment. Collin Lark, a pole vaulter, is competing against the best vaulters in all of Texas. Trying to remain in contention, Lark attempts to surpass his personal best at 16’6″. With two attempts down, Lark prepares for his third and final attempt. Sprinting down the track with pole in hand, he gets ready to vault over the par. Firmly planting the pole, Lark shoots up and arcs over the bar, sparking an explosion of cheers from the crowd. Landing on the pad, Lark lands with a new personal best to his name. Jesuit competed in the regional and state track competitions, with a few of the finest athletes at their craft qualifying. Regionals took place on April 28th in Waco, while on May 12th the state competition took place in Austin. 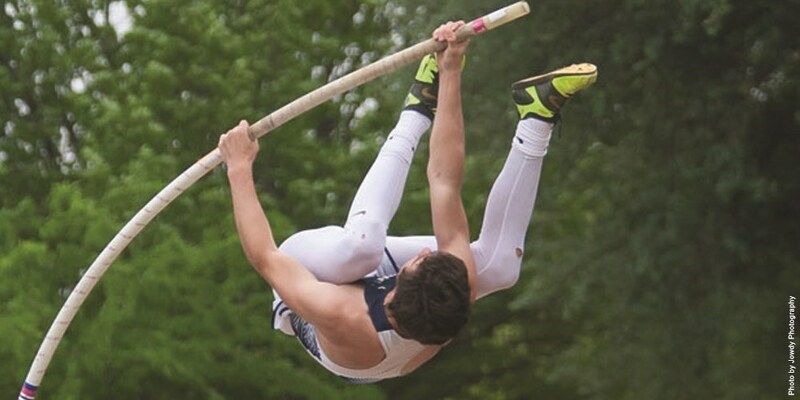 At the Regional competition, Collin Lark ’19 successfully cleared 15’6″, clearing 15′ for the sixth time this season. This vault was enough for Lark to place in 2nd and qualify for the state competition. Parker Towns ’18 barely missed the cut off for state, finishing 4th and 8th in the 300 and 100 meter hurdles, respectively. Towns finished his Jesuit career off by qualifying for both of these events finals, and having strong finishes. Joey Preboy ’18 had a 6′ jump in the high jump, which was enough to secure a 13th place finish, while fellow senior Jake Elrod ’18 finished with a 13′ vault in pole vaulting, to get 12th place. Coach Robinson, thinking over the whole track season and next year, said “I’m especially looking forward to our upcoming juniors and sophomores, because there is balance and depth in many events.” Jesuit is being relocated to a different district, but even with that the program still plans to dominate the region. With plenty of potential for next year and many returning members, Jesuit looks poised for another great season ahead. Check back with The Roundup for more news on track and other sports!